The Hive, Philly's former female co-working space. On Tuesday, Alam announced via Facebook that The Hive would no longer exist at its 900-sq.ft property located in Old City. The Hive, a small yet chic space, was only able to house about 10 members at a time and didn’t provide much room for growth. Because of the size it was hard for Alam to imagine a future for herself and her company in that space. “It was a tough decision but at the end of the day, as a business owner I needed to make the most logical decision for myself and the future of The Hive. It's not the end for The Hive, as I plan on keeping active with the community of boss ladies here in Philly, as well as host another conference and more workshops in the future,” Alam told PhillyVoice. The journey began for Alam when, after holding a career panel for her website Femme & Fortune, she realized that there was a great need for a space where women could find professional support from other women with whom they could relate. “I want to provide an outlet and resource for those women to come together and get the support, mentorship, advice, etc. that they’re craving as female business owners,” Alam told Technical.ly Philly ahead of The Hive's launch. 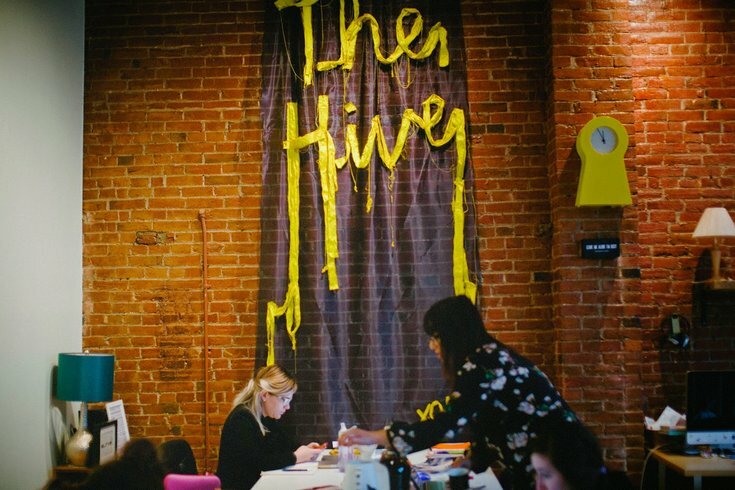 In addition to being the city’s first and only women-centered co-working space, The Hive hosted professional development workshops, networking mixers, and much more. While reflecting on her time at 222B Race Street, Alam recalls some of her favorite moments. With The Hive, Alam has set a powerful example of how important it is to create safe spaces where underserved populations can thrive. “I'm so happy I was able to show Philadelphia and beyond the positive benefits of building up a community like The Hive,” Alam said. In the past, Alam and The Hive brand motivated and supported both male and female professionals across the city with events like Fearless Philly Week and 30 Under 30 PHL. When it comes to next moves, it appears that Alam has things figured out. Despite no longer having a physical space, Alam still plans to produce more projects and events. For now, she's preparing for the launch of an independent print publication, Spoonful Magazine, for which she is the Online Editor & Social Media Director.